“Never act in haste. Think first.” Those are the words of a storyteller who sells his words for 100 pieces of gold per portion to the Sultan of Marrakesh in Abderrahim El Makkouri’s story, “The Vizier and the Barber.” These words end up saving the Sultan’s life. If it were not for the work of Richard Hamilton, we would not know Makkouri’s story today. 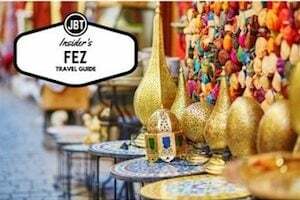 Morocco’s souks are known for their bold colors and traditional handicrafts, but how can visitors to Morocco turn these treasures into something special? Maryam Montague of the well-known Morocco blog, MyMarrakesh.com, recently published Marrakesh By Design, which provides do-it-yourself solutions for people who would like to incorporate their souk purchases and a distinct Moroccan atmosphere into their own homes. Travel memoirs seem to fall into three camps. There is the guidebook, where the author fills the pages with historical facts, telling the colorful past of the author’s current view. There is the narrative history, where the author travels with personal baggage that gets unpacked throughout the journey. And there is the immersion narrative, where the author becomes nearly invisible, except as a portal through which one tastes the food, talks with the locals and tells of life in another time and place. Lords of the Atlas is prefaced, like many histories, with markers that help orient the reader in the world they are about to enter: a chronology of events, a genealogical chart for tracking names and lineage, a map of tribal territories. What sets apart this historical account is the adept blending of the political with the personal. Originally published in 1921, Morocco That Was is a first-hand narrative account of a pivotal turning point in Morocco’s history. 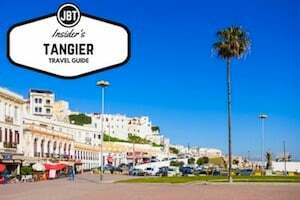 Walter Harris, the author of the book, first arrived in Morocco in 1887 and died in Tangier in 1933, having lived through the tumultuous last years of Morocco’s ruling Sultans and the loss of the country’s independence. Vivid and lively, his writing puts unusual humanism and detail to the historical parade of conquests and political maneuvering that marked Morocco during his years there as a correspondent for The Times of London. This book has remained a travel classic for good reason–it takes the reader by the hand and shows a new world, with all its the foibles, valor, horror and splendor. 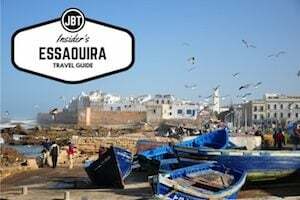 Like a good travel companion and a friend, Harris shows us the Morocco he knew. Part of Eland’s Poetry of Place collection, Berber Odes is a compilation of poetry in translation edited by Michael Peyron, visiting professor at Al Akhawayn University in Ifrane, Morocco. From my year spent studying abroad at Al Akhwayn in 2003-2004, I still have vivid memories of professor Peyron’s 8:00 a.m. course, History and Culture of the Berbers. Since no textbooks were available, we used a heavy, photocopied reader that he’d compiled over the years. It was full of academic essays, poetry, proverbs, snippets on Berber dialects, black and white photos and historical accounts. Susan Simon’s Shopping in Marrakech is as colorful and dizzying as the streets of Marrakech. 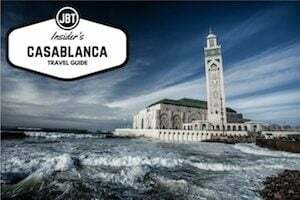 With dazzling photographs on nearly every page and plenty of insight on how to navigate Marrakech’s disorienting labyrinth of shops, Shopping in Marrakech will persuade even the non-shopper to head out for a day in the souks. With the Atlantic Ocean to the west, the Atlas Mountains to the east and the Sahara Desert sprinkled across the south, Marrakech has been a significant trading post since the Almoravid conquered Spain in the 11th century. 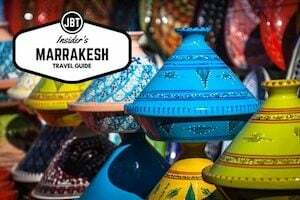 Home to one of the largest traditional markets in Morocco, Marrakech’s medina is a bustling maze of covered markets, food stalls, storytellers and snake charmers. At first glance of the map, navigating Marrakech looks positively overwhelming. Thankfully this guide is organized into seven separate walks to help you systematically navigate the bewildering array of shops. 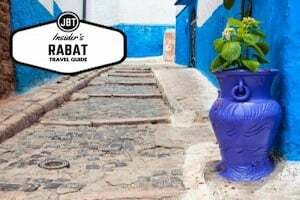 The book reads more like a treasure map than a traditional guidebook, leading the reader on a journey through winding alleyways and hidden streets to find the best of Morocco’s handmade treasures.